For sightseers the ferries offer a unique ride with beautiful views of local scenery. Because some of our crossings are so quick, we suggest a cruise on one of our longer trips as great way to see False Creek. Our operators can provide interesting anecdotes about the geography and history of ‘The Creek’. 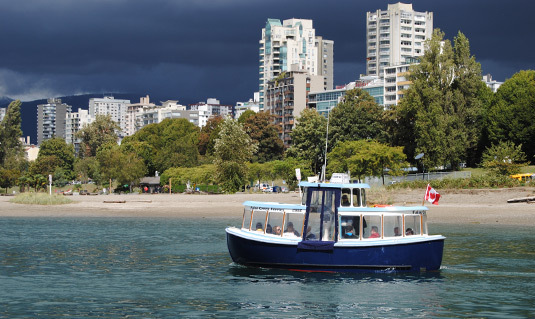 Take a return trip on our Granville Island – Maritime Museum route. 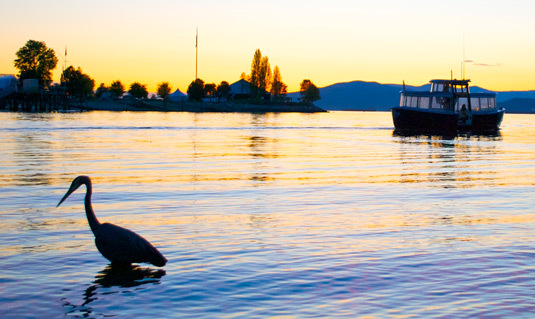 Sights include Sunset Beach, the North Shore mountains, the West End skyline, Vanier Park, and Heritage Harbour. This cruise sails every 15 minutes from 9:15 am – 6:45pm. This cruise is a return trip from Granville Island to Science World, and can be joined at any stop along the way. Scenery includes the Osgemeos murals, floating houseboats, Yaletown skyline, sports stadiums, 2010 Olympic Village, and Science World. This cruise sails every 15 minutes from 7:40am – 9:10pm. 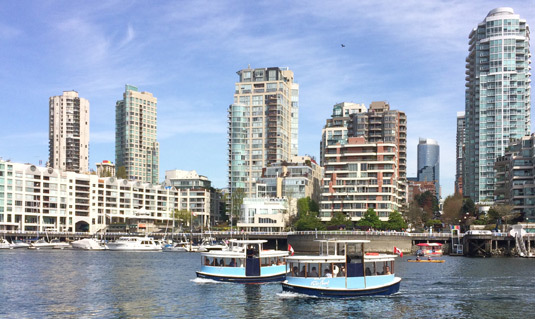 The best way to visit all the attractions located along False Creek. Our regularly scheduled service makes exploring our nine stops at your own pace a breeze. Hop back on the ferry whenever you feel like taking a break and continue on to the next stop of your choice. With ferries every 5-15 minutes you won’t wait for long. Science World, the Maritime Museum, as well as many fantastic restaurants & brewpubs are just steps away from our ferry docks. Valid on all ferry routes. 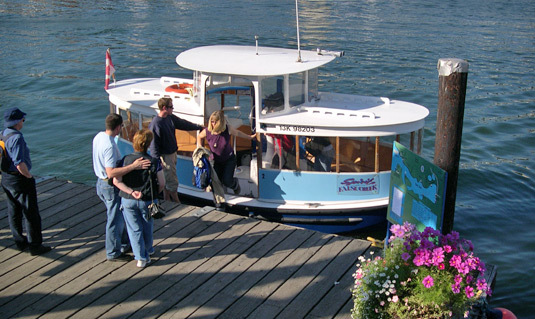 Make your special event even more memorable with a custom charter or cruise aboard a False Creek Ferry. From weddings and photo shoots, to family and corporate events, False Creek Ferries has the perfect combination of vessels and services to meet your needs. $175 per hour for a 12 passenger ferry or $225 per hour for a 20 passenger ferry.